Professor Stephen Gray is well known for his work on empirical finance, asset-pricing and corporate finance which has been published in leading academic and practitioner journals. Stephen teaches a range of award and executive education courses in financial management, asset valuation, and corporate finance at UQ Business School, and was recently awarded the Prime Minister’s Award for University Teacher of the Year in the Economics, Business and Related Studies field. He has Honours degrees in Commerce and Law from the University of Queensland and a PhD in financial economics from the Graduate School of Business at Stanford University. He is an active consultant to industry on issues relating to valuation, cost of capital, corporate financial strategy, financial modeling, financial risk management and the creation of shareholder value. He has also appeared as an expert in several court proceedings. 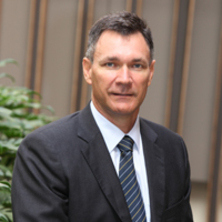 As Director of the UQ Business School Corporate Valuation Centre, he leads a number of projects that are designed to turn the practical application of the latest academic research in to a source of competitive advantage for corporate managers. Yes, one-day international cricket 'in-play' trading strategies can be profitable! Political and government connections on corporate boards in Australia: good for business? Is prior director experience valuable? Do trading hours affect volatility links in the foreign exchange market? Are there non-linearities in short-term interest rates? Quantification issues in corporate valuation, the cost of capital, and optimal capital structure.